Aaron Rodgers is one of the best quarterbacks in the NFL and has been for years, yet the time is now for the Green Bay Packers to find his heir apparent. The big picture: Rodgers is a phenomenal player with seemingly unlimited upside. Yet there are issues present that make finding his eventual replacement a paramount concern for a team that is hoping to contend for the long haul . Injuries piling up: Players who continually deal with injuries ultimately wear down. That could be happening to Rodgers. 2013: Rodgers suffered a broken collarbone, missing seven games. 2017: Rodgers suffered another broken collarbone, came back and played one game, and was then placed on injured reserve (for the second time in 2017) to close out the season. 2018: Nagging knee injury hampered Rodgers for much of the season, and then he suffered a concussion in the final game of the season. 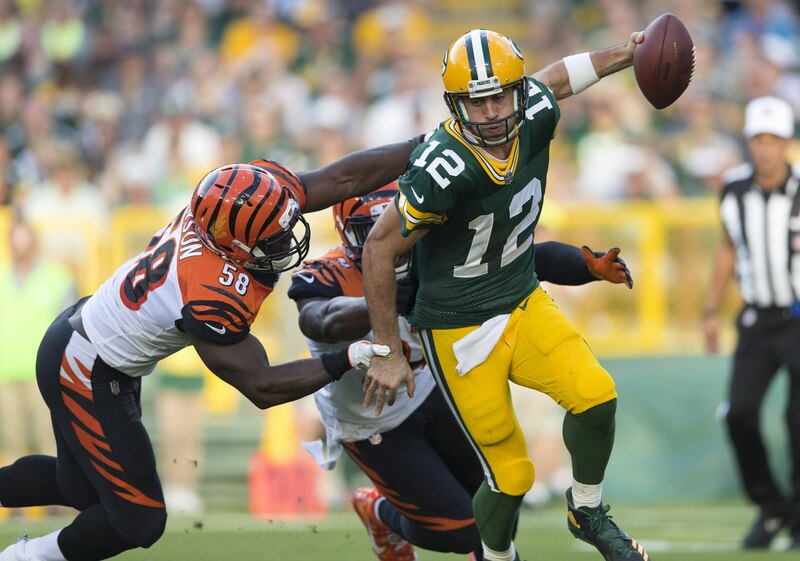 There have been numerous other minor injuries that Rodgers has played through. In particular, the reoccurring collarbone injury and concussion (he had admitted to two previous concussions before 2018) could be troublesome going forward. No spring chicken: Rodgers will turn 36 before the 2019 season runs out. He’s already played 14 seasons in the NFL. And, given his history of injuries, it wouldn’t be shocking in the least if he ended up missing significant time once more. New GM, new philosophy: The Packers are a completely different organization now that Brian Gutekunst is running the front office. This has already been felt in a big way with how the team attacks free agency. Armed with two first-round picks (thanks to the trade with New Orleans last year), the Packers could potentially land an instant-impact player with the No. 12 overall pick and then draft Rodgers’ successor with the No. 30 overall pick. With the 44th overall pick, the Packers could potentially target a guy like Will Grier (if he’s still there), or they could target Ryan Finley in Round 3. Win-now mode: Given the way Gutekunst has aggressively filled big-time needs for Green Bay, the Packers are looking like true contenders once more. With that in mind, it would behoove them to have a solid backup plan. The players who’ve been behind Rodgers in recent years have not been able to handle the offense when he’s been lost due to injury. The bottom line: Nobody wants to see Rodgers’ star fade. When he’s healthy and in the flow of his offense, there’s nobody better. Yet there can be no denying Father Time, and at this point in his career Rodgers could be wearing down. With that in mind, the Packers need to bring in a quarterback who can both take over in the long run, and give the team a shot in the arm if Rodgers goes down with yet another season-ending injury.